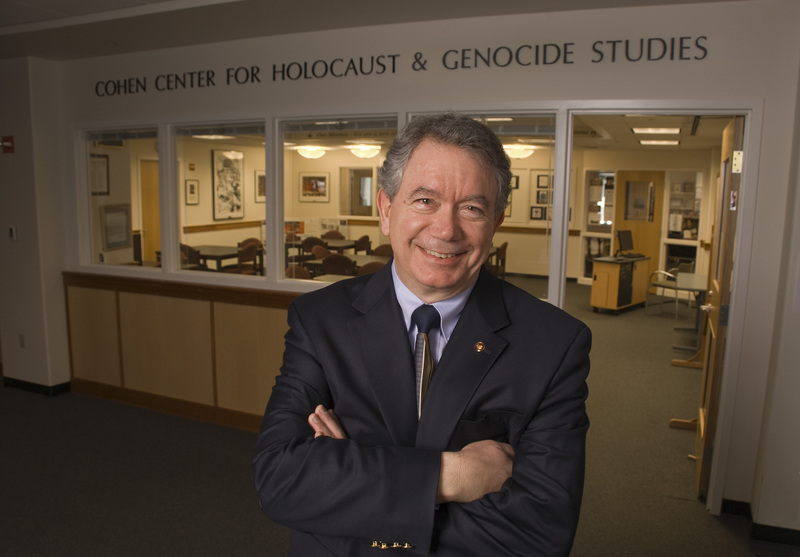 Dr. Henry Knight is the Director of the Cohen Center for Holocaust and Genocide Studies at Keene State College and teaches in the College's academic program, which offers the nation's first undergraduate major in Holocaust and Genocide Studies. Knight is also co-chair of the biennial Steven S. Weinstein Holocaust Symposium (formerly the Pastora Goldner Holocaust Symposium) that he and Leonard Grob of Fairleigh Dickenson University co-founded in 1996. He serves on the Church Relations Committee of the US Holocaust Memorial Museum in Washington, DC and several other national and international advisory committees related to Holocaust Studies. Knight earned his B.A. in English from the University of Alabama and his M.Div. and D.Min. degrees from Emory University where he concentrated in theology and pastoral hermeneutics. He has served two institutions as chaplain and as a member of their respective departments of religion: The University of Tulsa and Baldwin-Wallace College in Berea, Ohio. He began teaching courses on the Holocaust over twenty-five years ago while at Baldwin-Wallace. At The University of Tulsa, he was honored by his peers for his work in the classroom, receiving both the Outstanding Teacher Award for the University and the Excellence in Teaching Award from the College of Arts and Sciences. Active in national as well as local interfaith relations, Knight also served as Director of the Council for Holocaust Education of Tulsa, Oklahoma – a partnership of the Jewish Federation of Tulsa and The Sherwin Miller Museum of Jewish Art. He joined the Keene State College community in July 2007.